These Green chili chicken enchiladas made with sour cream are one of my family’s very favorite dinners! They are easy to make and use just a few ingredients that are easy to keep on hand. Give them a try and let me know what you think! 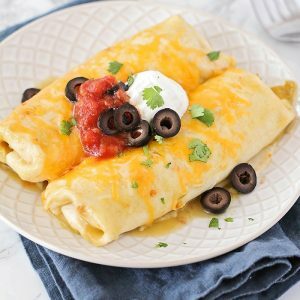 To round out your Mexican feast, serve these delicious enchiladas with a side of Spanish Rice, a bowl of warm tortilla chips with my famous Homemade Salsa and wash it all down with a tall pitcher of Horchata to drink. My husband’s favorite homemade meal are these Easy Chicken Enchiladas in red sauce. Anytime I ask him for meal suggestions for the week, this is what he picks. 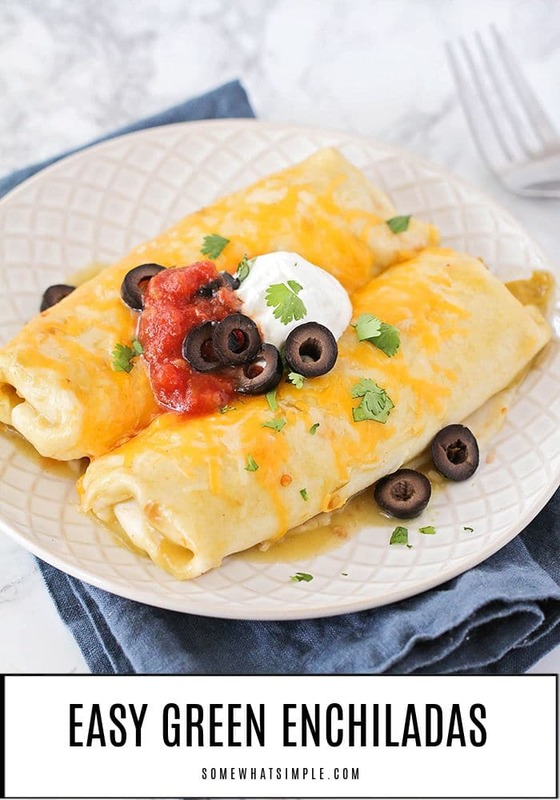 I’ve been making his favorite enchilada recipe since we were first married, and while I do definitely enjoy them, all 5 kids and I agree that these Green Chicken Enchiladas are even better than my husband’s favorite red ones. These EASY green chili chicken enchiladas are creamy and delicious. “Better than red” said Ethan. To make these easy green chili chicken enchiladas, you’ll start by shredding some cooked chicken breasts and mixing it with some green sauce, sour cream, and some cheese. Exact measurements on these ingredients is entirely up to you! Do you like your enchiladas extra cheesy? Go for it! 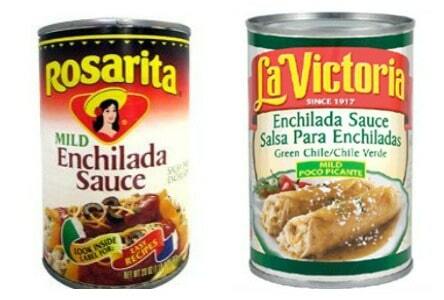 Want to drown your tortillas in the delicious enchilada sauce? No judging here! Once your chicken mixture is made, you’ll put a few heaping spoonfuls of it onto the center of each tortilla, roll it up and place it in your baking dish. I can get 8-10 enchiladas in each 9×13 casserole pan. 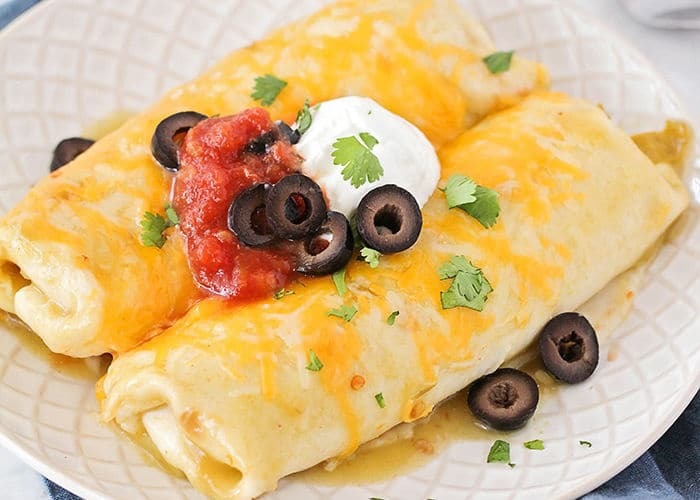 Cover the rolled enchiladas with more sauce, sprinkle with some cheese, and you’re good to pop them in the oven! And since everything you’ve used is already cooked, you just need to bake your enchiladas to heat them up and melt the cheese. This usually takes about 20 minutes. I definitely have my favorite homemade green enchilada sauce recipe, but if you don’t have time to try it, store-bought enchilada sauce is a great option. Over the years, I’ve experimented with plenty of the brands that you see at the grocery store, and so many of the red sauces are thin and bitter, while the green are too bland or too spicy. Tortillas – For an extra treat, these Homemade Tortillas are to die for! If you have 15 extra minutes and you want to try your hand at the best green enchilada sauce known to man, give our Homemade Green Enchilada Sauce recipe a try! 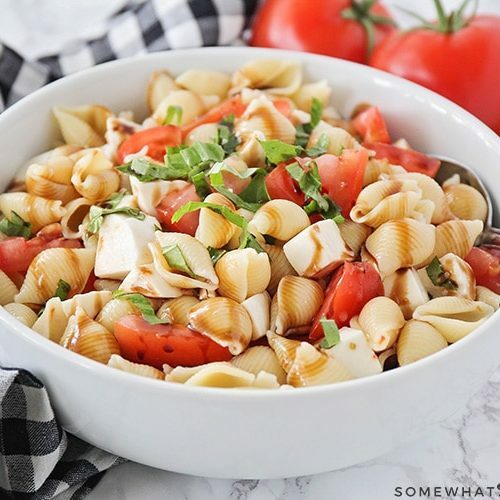 It is easy to make and super delicious!!!! Toppings: Sliced olives diced tomatoes, sour cream, guacamole, etc. Spread some sauce over the entire bottom of a 13 x 9 casserole pan. In a medium bowl, combine the shredded chicken, 2/3 of the can of sauce, about a cup of sour cream (give or take depending on how creamy you want them) and 2 cups of cheese. Fill each tortilla with the chicken/cheese mixture and roll up like a burrito. Place each filled tortilla side by side in the baking dish. Pour the remaining sauce on the top of the tortillas- cover them completely. Sprinkle with cheese- as much as you would like! Cook uncovered in the oven for 20 minutes or until heated through. 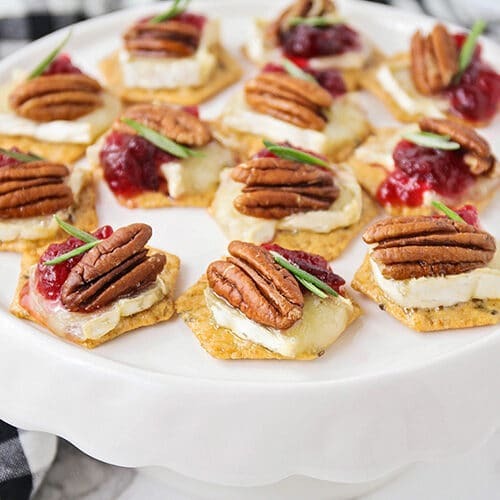 Top with desired toppings & enjoy! Wow, thank you for sharing this! 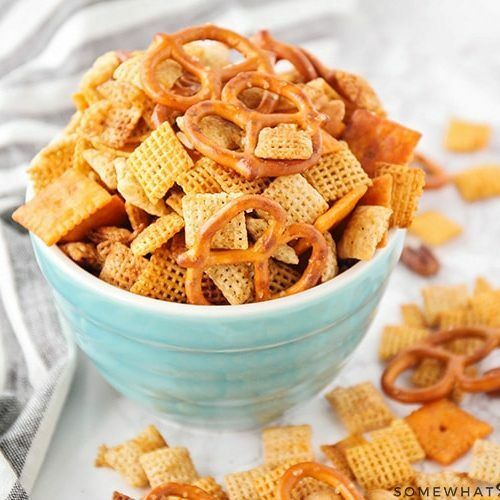 We used to live in the States and ate these many times but never tried to make them myself. This is my change!!! Thank you very much, I love your website! thanks for stopping by Agnes! can I come visit you? I need a vacation! Ha ha! Sure! Any time, maybe we can switch homes, because I need a vacation too!! Hahaha! My friend just invited me over for enchiladas! 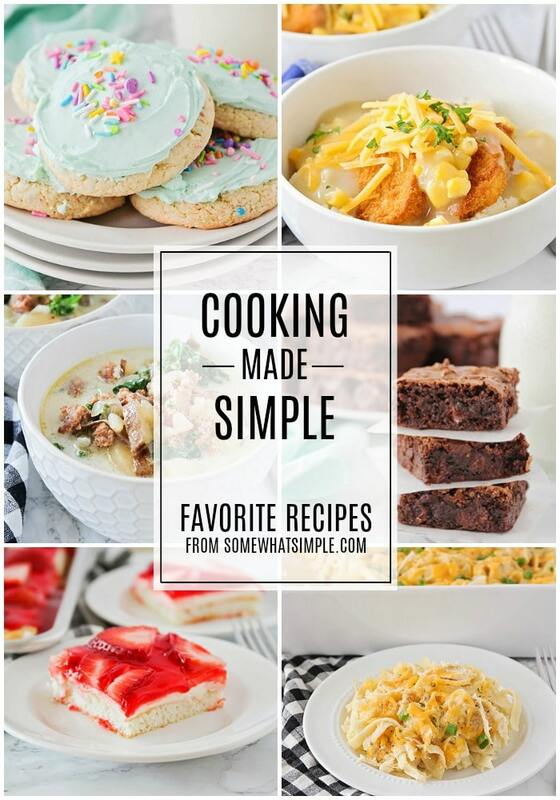 These look delicious…I love that there are so many ways to cook such a simple food. Yum! leftovers tonight but with a store run this evening, i think enchiladas may be for supper tomorrow. thanks for the yummy suggestions. I love enchiladas… of any sort. I looked up the recipe for your red enchiladas, too and can’t wait to try them. My family loves stacked roasted vegetable enchiladas! They are delish!